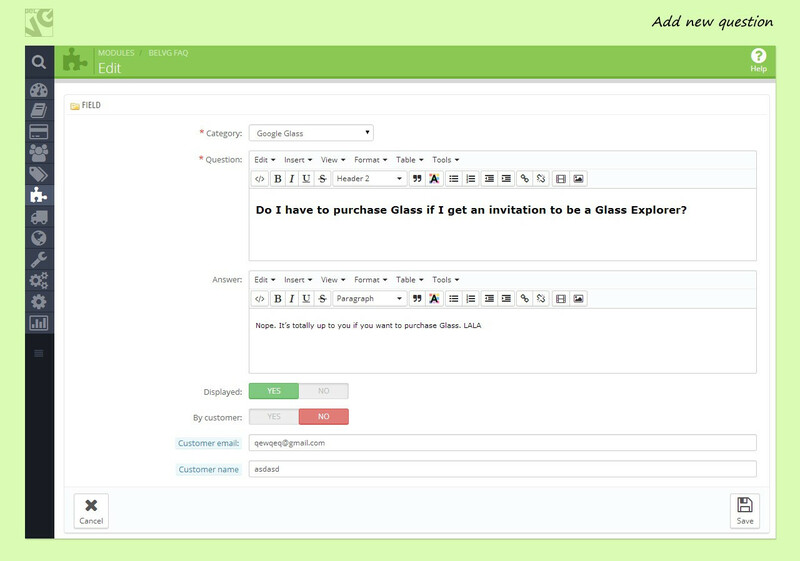 Prestashop FAQ module allows you to create and manage a special FAQ page for your visitors. 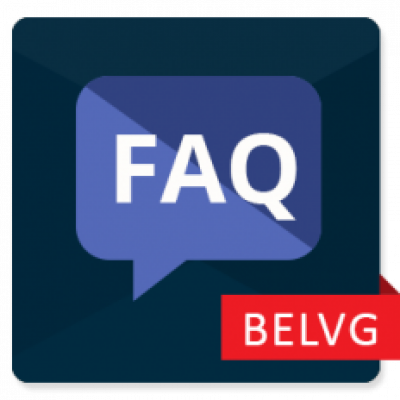 It also enables you to receive new questions from your customers, answer them and quickly post these questions on the FAQ page. 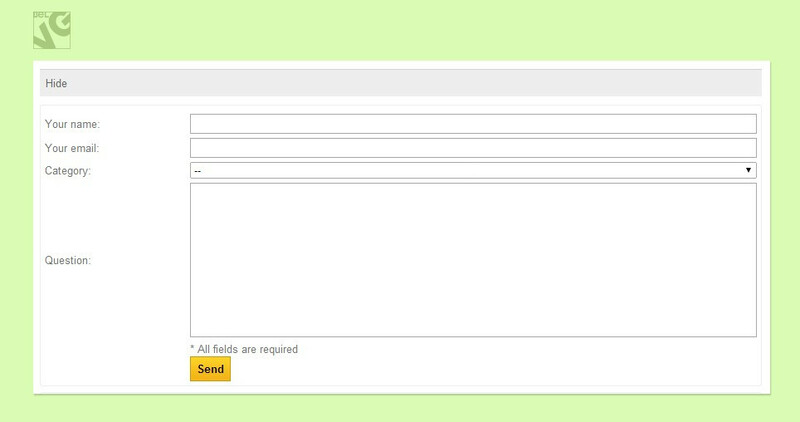 Easy way to prevent users from taking your time by asking the same questions time and time again. It there an easy way to create an informative FAQ page for an online shop? 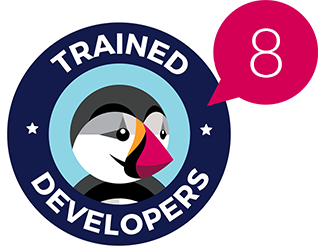 Sure there is - with our new Prestashop FAQ module you will be able to easily generate, update and edit your Frequently Asked Questions page to let your customers find answers to the most important and vital questions. 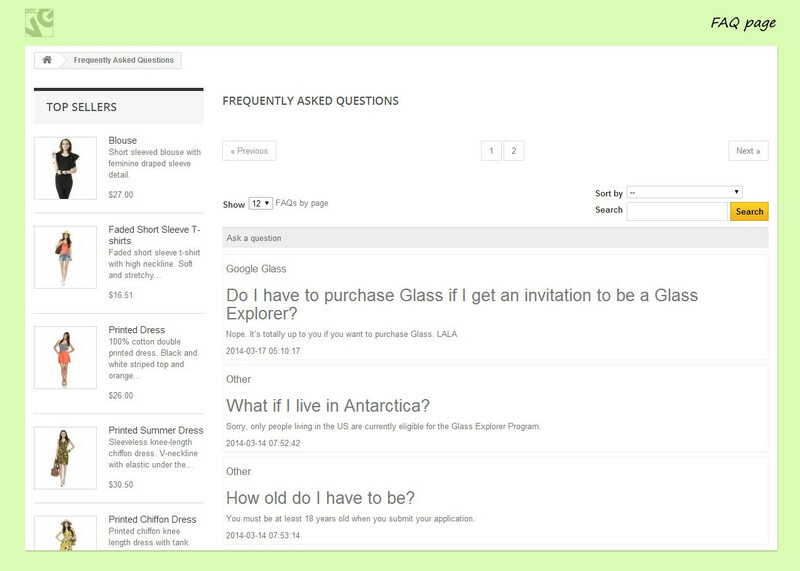 Link to the FAQ page is automatically added to the footer and customer account. Once you start an online store or any other website to offer goods and services you will inevitably face the necessity to respond to customers’ requests and solve many other support issues. That is why it is extremely important to have informative knowledgebase sections where customers could quickly find solutions themselves for the most frequently occurred problems and questions. The FAQ module is the right tool to arrange an efficient FAQ page for your website. 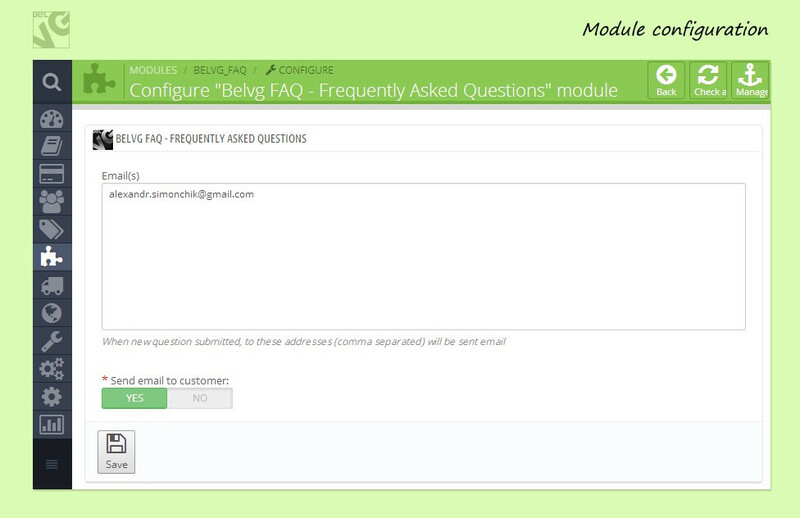 The features of this module will allow you not only quickly create and easily update unlimited number of questions, but even let your customers submit their own questions and receive your responses directly to their e-mail addresses. Visit the demo admin panel.